This is one of O&apos;so Brewery&apos;s classic sour beers. Whether you&apos;re looking for a casual sit-down beer or something with a bit of a kick, Infectious Groove will suffice for both settings. The refreshing hint of lemon also adds the tart acidity that everyone looks for in a sour beer. One thing that this beer for sure does is it dries your mouth enough that you need to go back for another sip. Being a Porter, you would assume that Night Rain would be on the bitter side. On the contrary, Night Rain not only has a refreshing taste but a smooth finish. Being an Oatmeal Porter, with Munich malts mixed in, you cannot go wrong with this delicious flavor. Awarded the Great American Beer Festival Gold Medalist in the Fall of 2015, this helped put O&apos;so Brewing Company on the map. This American Wheat Ale is kind of a Big deal and, personally, one of their best beers. With the combination of both orange zest and malted wheat, The Big O satisfies all your taste buds. It&apos;s a crisp beer, but so refreshing with the orange flavor that it will leave you wanting more after the final drop. Looking for something a bit more bold? Check out the new winter releases, including Grandpa&apos;s Got a Gun (a barrel aged Maple sap Strong ale) or the barrel aged Liquid Soul (Bourbon-aged Imperial Stout). 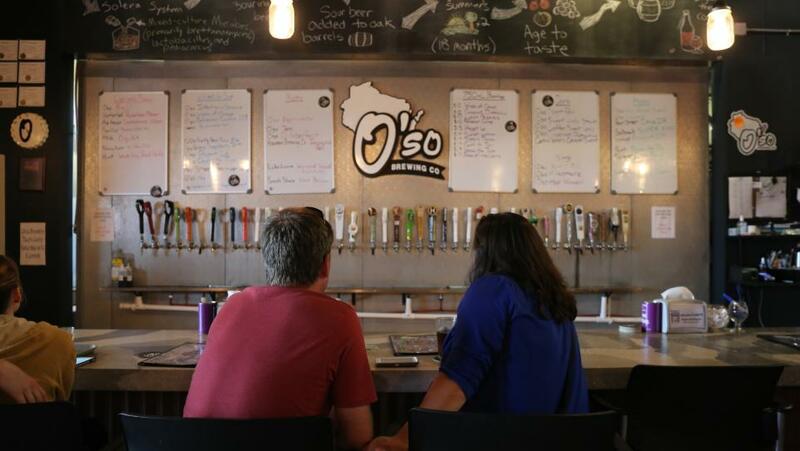 O&apos;so Brewing Company has 40 beers on tap, ready to taste and sample. Grab a full pour or only a sample. Learn more about O&apos;so here.